Welcome and THANK YOU for volunteering to be a team manager. As a team manager, you will will work with your coach to coordinate many of the off ice activities for your team and it is recommended that you recruit others as needed to assist you. Your position is very important! Work directly with the coach and make sure you communicate often to bring your team together. Coaches all have different styles and levels of control so discuss with them what roles they want you to play and where you can be most useful. Coaches can also get bogged down so it is important that if you notice something may be being overlooked check and see so things do not get missed. Below is an overview of some of the duties you will be responsible for, as well as other important information you will need throughout the season. You can, and should, delegate some duties to other team parents. You may wish to ask for volunteers for various activities such as tournament planning, event/party planning, team treasurer, and someone to update your page on the www.centerstatehokcey.com web site which is capable of scoring games and keeping stats on your players. This will help bring everyone together and create team unity. As a team manager, you are responsible to oversee any duties that you delegate. New to the 2018-19 season we are asking team managers to complete a registration on the CSYHA website. The purpose of this is two fold. First, it allow for us to track complete of USA Hockey Registration for Volunteers (which is required and free) and confirmation of code of conduct adherence and secondly, it allows for us to roster you to the team staff granting you permissions to the team website. Registration can be completed at the CSYHA website and must be done annually. Normally the registration link for Team Managers becomes active for the new season at about the same time coaching applications open (Approx 01 April). Registration should be completed prior to starting assigned duties. It is quick and instruction are included on the web page for how to register with USA Hockey as a volunteer. Please note that if you are going to assist with locker room management or will be in close and continued contact with the kids you MUST compete the background screening at the NYSAHA webpage as well. There is a fee for screening and it is approximately $30.00. The CSHYA web site is updated each season and uses a template format for teams so that each team page has a similar look and feel. This site can be a very valuable tool for coaches and team managers that make use of it. To start with is this page which outlines roles and responsibilities for Team Managers. The site also has sections for Coaches, On and Off-Ice Officials and some standards of play and conduct that you should be familiar with. This site also has a Documents page that has various instructions and forms that may be needed during the season. in addition, the site will contain information for other organizations to reference with regard to scheduling, tournaments, etc. Work with the coaches to keep a team roster that includes , including names, addresses, phone numbers, e-mail addresses and parent’s names. This proves useful for various items but contact is the key. Additionally, the coaches will work to ensure the USA Hockey rosters are updated by 31 December of each year and they may ask for assistance with some elements of this task. The T1 Roster is completed by the Registrar and filed with the section for you. This said you should keep a copy with you after it is finalized 31 December. The T1 will contain most of the data that is required via the players registration event. The Team Manager and/or Coaching staff must ensure each player is on the roster and the information is correct. Review is now done online so when you or your coach is sent the link ensure it is accurate, all players on on it and let the Registrar know if there are any edits needed. It is required these are finalized by 31 December each season. An official copy will be returned to you via PDF and should be kept in your manager’s book. You will need to provide a copy of this form for any tournaments your team may enter and possibly at any league games if asked. This person is in charge of scheduling and confirming all games and coordinating with the organizational scheduler on practices and other ice and locker room related tasks. The Organizational Scheduler is responsible for scheduling all practices organization wide so activity related to practice scheduling is limited to working with this person to make sure they are aware if the team needs to cancel or work to reschedule a practice due to weather or game/tournament conflict. All cancellations should be reported as early as possible to the scheduler so that we are not wasting open ice time. If your team has a mid-week game or tournament and will miss a practice contact the scheduler as soon as possible and request a practice move if possible - they will work with the IcePlex staff to try to accommodate your team. Depending on if you are managing a house, travel, or independent team some of your schedule may be completed for you by the league. Both the Snowbelt and Statebound teams have a set amount of season games that the league will assist in scheduling so some slots will be filled for you. Independent teams are responsible for coordinating all of their events. Early in the season the organization will provide you and your Coach a schedule for the season that shows your open ice slots for weekend games at home. CSYHA works to provide equal home games for each team over the course of the season. Once you have this you can begin to reach out to possible teams offering them game slots and asking for reciprocal ice at their rink. *NOTE: Early in the season it is important you work with the coach to determine organizations to contact as your goal is to schedule competitive teams to play and they tend to have a handle on how organizations compare to CSYHA. For any game slots that you fill at the IcePlex you must email the Organizational Scheduler and let them know who is visiting in an open slot and request referees for the game. If the scheduler is not aware that we have filled a slot they WILL NOT scheduler referees and you will have NO officials for your game. If you have a last minute cancellation (team does not show, weather) and referees have arrived they are REQUIRED to be paid. The scheduler should also confirm, with the opponent organization, all games that are scheduled either home or away at the start of the week before the game date. As most of your scheduling is done via email it is easiest to email the next weekends teams Sunday evening or Monday morning asking for confirmation of the event. 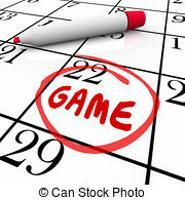 For away tournament you will likely be at the mercy of the visiting organization who will provide you a game schedule. For home tournaments it is recommended that you begin to invite teams as early in the season as possible. It is recommended that a few weeks of any league play be underway so you can judge competitive teams but remember tournaments can fill up quick so get invitations out early. Sometimes you are also at the mercy of the schedule and if we have an early tournament this may not be possible. Tournaments require submission of your roster ahead of time along with payment and other details. Work with your coach to see who will manage this. Also, most tournaments ask for labels to save time with game sheets. You can use the label template on our documents page but remember that 3 labels are required for each game sheet. and possible roster stickers for game sheets. Remember to work with the local tournament director if they need assistance scheduling games for your home tournament. If your team fills a home ice slot for a game you will need to have officials assigned to work the game. To do this you must notify the Organization Scheduler and let them know the opponent that is coming and it is not a bad habit to include them when games are confirmed, this ensures you have officials for the games. All requests should be submitted as soon as you fill a slot and normally require at least a week to ensure we have officials at your game. If you have to cancel a game because an opposing team cancels can you are not going to use the ice slot notify the organization scheduler immediately letting them know of the cancellation and request they cancel the officials. As sated above, if a game is cancelled last minute and officials are on the way or already at the rink they DO REQUIRE PAYMENT. If a schedule change occurs, please notify all parents. Do not assume that they have checked the web site and are aware of the change. It is a good idea to send a weekly e-mail reminder of the following weeks activities and this can be done via the team website if all parents have registered with the association via the webpage. Contact the CSYHA WebMaster if you need assistance with team page management: csyha.webmaster@gmail.com. Once assigned to the team manager role you will have access rights on the site to edit and maintin certian areas. One feature is a message option that allows you to message one or all members of the team to the address provided to SportsEngine when your players registered. This is a great feature for weekly communications and is easy to use. It is also recommended, though not required, that you find and make use of a text messaging app or like tool. One used locally is GroupMe. You can add your teams text numbers and text all or some of the team very easily, it is a great last minute communications tool. Make sure you have the best numbers for responsible parties, 14 y/o kids have phones but it may be best to ensure the persons doing the driving to events are on the group. Put out a statement to the team on its expected use. Most coaches save this for group communications that are game and last minute related explicitly forbidding this as a social group chat tool for the kids. It’s the coach/home team’s responsibility to provide a scorekeeper, timekeeper and penalty box attendants. How these volunteer slots are managed will be up to you and the coaching staff. If you do send out weekly reminders of weekend activities it may be a good idea to remind parents that you will need volunteers for the coming weekend. For detailed information on these jobs visit the CSYHA Off-Ice Officating page. Here parents can get a copy of the manual, rules, sheets on how to run the clock, how to fill out the score sheet, etc. Off ice officials are part of the officiating team, should you need anything during the game ask them, they are there to help. Do not tolerate abuse, should you find volunteers being harassed or berated by the players benches or persons in the off ice officiating areas/penalty boxes notify the officials at the next stoppage of play. They should resolve the issue for you. Make sure you read the section on score sheets to be sure you understand the procedure if your team wins, loses or ties. Fines can be assessed for any mistakes or any blank areas left on your score sheet within some league and state events. Individual teams will be responsible for the fines incurred by their team. If you use labels for your team roster, be sure they are on every page of the score sheet. *NOTE: Snowbelt league games for Bantam and Midget teams CAN NOT use labels on official league games. The Home team is responsible for mailing the score sheet to league statistician after games for most leagues. These normally must be mailed within 48 hours of the game. Refer to your league Guidebook(s) for the correct mailing address. For leagues that required online submission of statistics online contact the coach to determine who will be responsible for this activity and how to access the resource. Help the coach with arranging and planning tournaments or appoint a tournament director. It is best to have one person that does the hotel arrangements, provides the team with hotel information, a map of the local area and local attractions. This person should work to arrange hotel block confirmations provide details on booking which includes check in/out times to each family. The person handling the tournament arrangements should provide the parents with the team game times, directions, game rules, etc. Be sure your players bring both Home & Away jerseys. Keep copies of the information sent in and received from the tournament for registration purposes. Make sure you have copies of birth certificates, USA Hockey insurance cards, official team roster (stamped only) and any other information required by the tournament director with you at the tournament. Please refer to the CSYHA Fundraising Guidelines posted on the Fundraising page of the website. You MUST adhere to these guidelines and must submit a form detailing each fundraiser to the Fundraising Coordinator. All fundraisers will need to be approved. Picture Day is normally scheduled on a Monday and Tuesday in October of each season at the IcePlex. The dates will be announced in the Fall of each season. Teams are normally asked to get individual pictures taken in the 30 minutes prior to your scheduled practice time allowing for a team picture to be taken just prior to getting on the ice. Please make sure your team is on time and ready to line up at your designated picture time. Helmets are not required. Team functions can be a fun way to bring kids and families together as the year progresses. Plan some team functions such as tournament activities, holiday, mid-year and year end parties. This helps bring the team together. As a team manager you may, at times, be asked for different items through the season. The following is a list of potential sections for a Team Manager Binder. Please note that some of these items are kept in online databases as well now (such as coaching items) and you may find that your paper copies become dated quickly. Use your best judgement on what you need to keep paper copies of and what you are capable of access online.